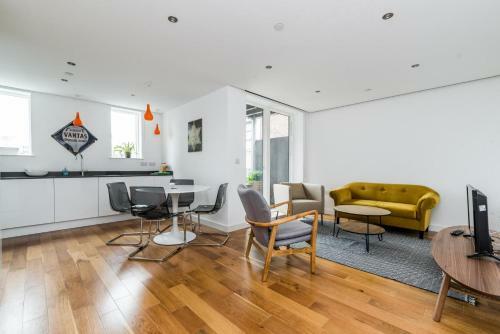 Super stylish one and two bedroom apartments from this award winning boutique apartment provider. The twelve apartments here are on the corner of Old Street and Curtain Road in Shoreditch. 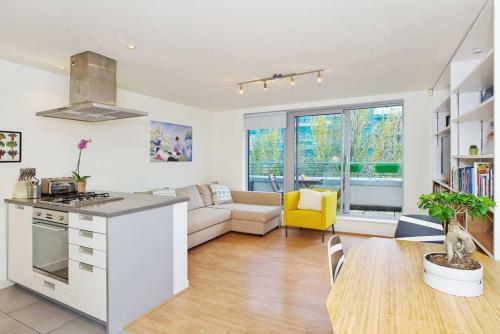 Each apartment is spacious and well designed with striking furniture designed by Conran. 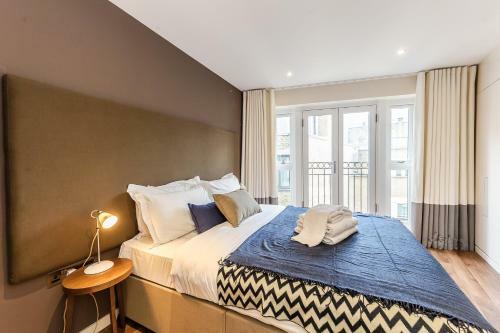 The spacious two bedroom apartments also have two bathrooms and large kitchens. Features available to guests here include: self check in, complimentary luxury toiletries, washer dryer, free wifi and weekly house keeping. 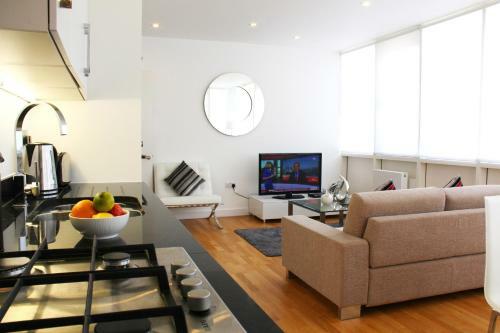 One, two and three bedroom self catering serviced apartments in Shoreditch. Shoreditch is a buzzing, trendy part of East London on the edge of the City of London. Within Shoreditch is the equally fashionable area of Hoxton. 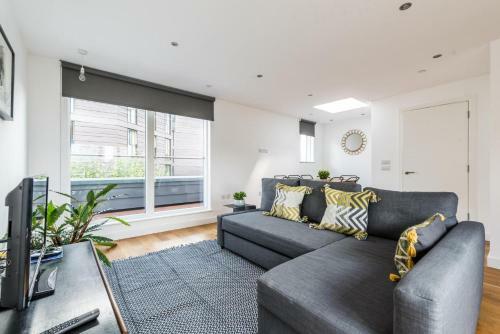 Whether you're here for work or pleasure, these serviced apartments provide a comfortable home from home and are a great alternative to traditional hotels. Shoreditch High Street is an Overground station between Hoxton and Whitechapel. Popular and well-known nightclub in Shoreditch with live music and DJ club nights across 2 floors with street art aesthetic. London Overground station in the Hoxton area of Shoreditch. Weekly outdoor market with an array of vendors selling books, clothing & other eclectic items. Garden Square in trendy and hip Hoxton. Boxpark is described as the world's first pop up mall! Made out of refitted shipping containers, it's home to trendy food and retail stores.